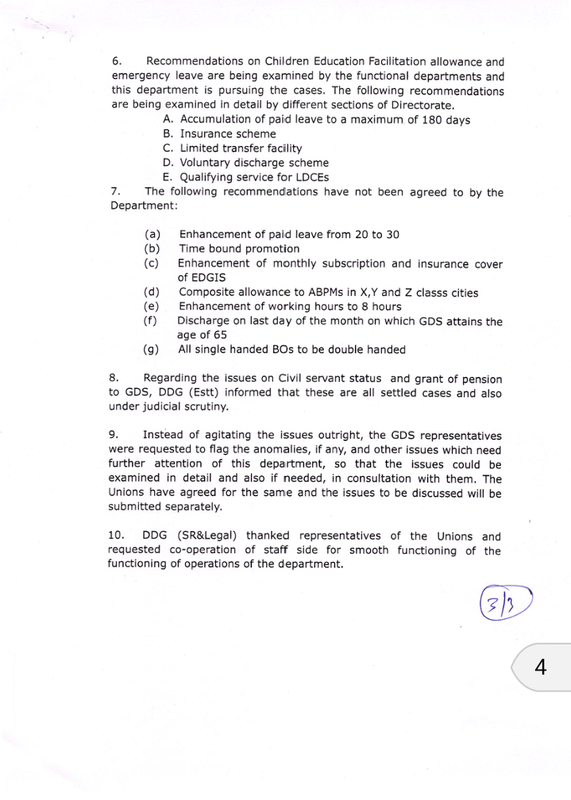 Minutes of the meeting held on 31.07.2018 with General Secretaries of GDS Unions. 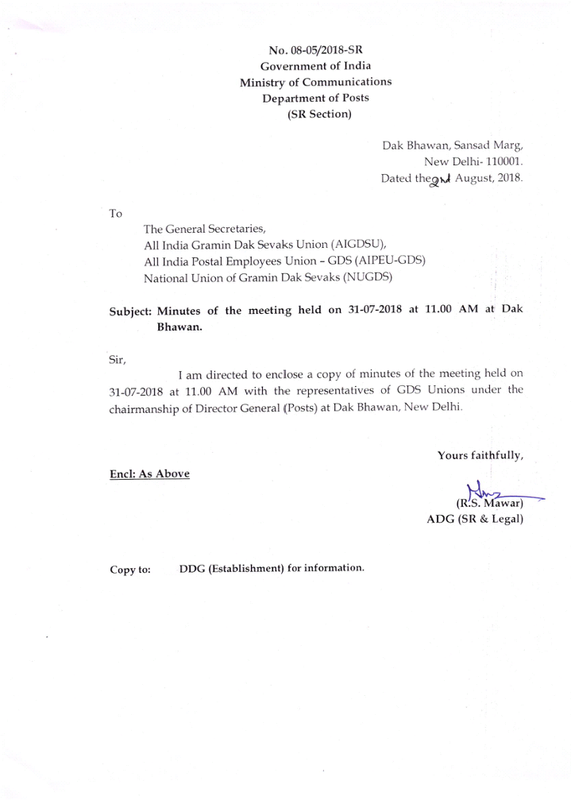 Minutes of the meeting held on 31.07.2018 at 11.00 AM at Dak Bhawan with the representatives of GDS Unions to discuss the issues submitted regarding memorandum dated 12 July 2018. 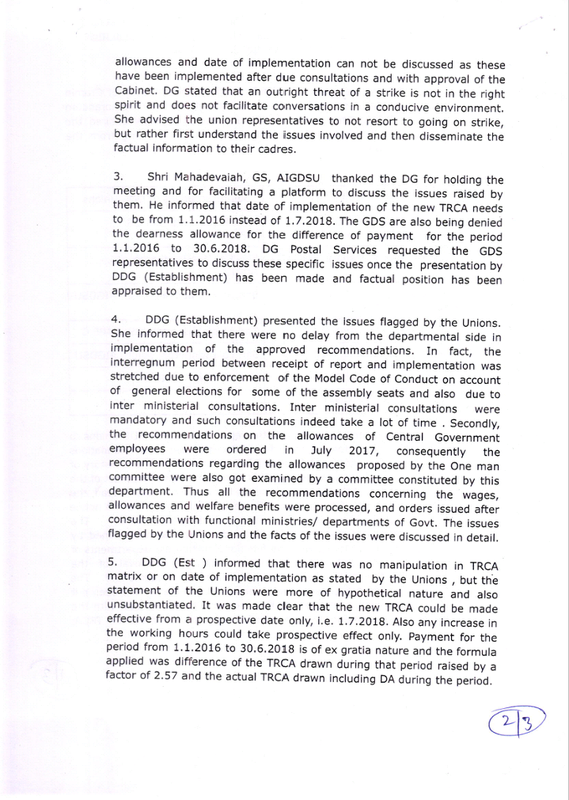 ● Issues on TRCA , allowances and date of implementation can not be discussed as these have been implemented after due consultations and with approval of the Cabinet. E. Qualifying service for LDCEs. 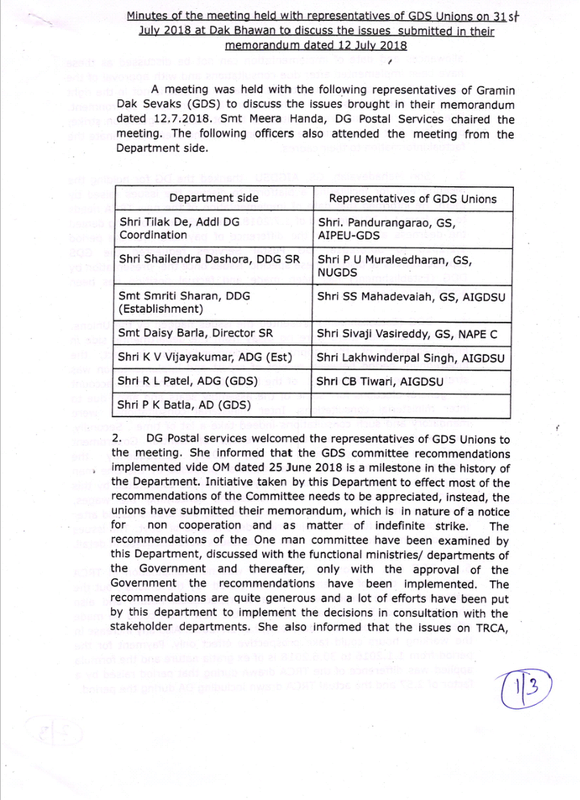 ● Regarding the issues on Civil servant status and grant of pension to GDS, DDG (Estt) informed that these are all settled cases and also under judicial scrutiny.